“John Tyler: The Accidental President” was published in 2006 and is Edward Crapol’s third book. Crapol is a retired Professor of American History at the College of William and Mary where he began working in 1967 (and from which John Tyler himself graduated in 1807). Crapol’s biography began as a book focused on the foreign policy of the Tyler administration. But after commencing research, he decided to expand the scope to a broader swath of Tyler’s life. While few readers will find it an ideal full-scale biography, equally few will be surprised at its origin since one of its strengths lies in its discussion of foreign affairs (the annexation of Texas, in particular). The author’s central premise is immediately apparent: although Tyler was not a great president, he was often a bold and effective leader and was certainly “less bad” than history remembers. Of course when the bar is set that low on page three, it is not surprising that the point seems reasonably proved by the book’s end. Crapol appropriately credits Tyler for establishing precedent relating to vice presidential succession in the event of a chief executive’s death (it had been vaguely understood to that point) and argues that Tyler was not a fervent States’ rights supporter – as claimed by earlier biographer Oliver Chitwood. Instead, this author contends, Tyler was willing to bend his principles when expedient – such as the case of annexation of Texas without Senate ratification. 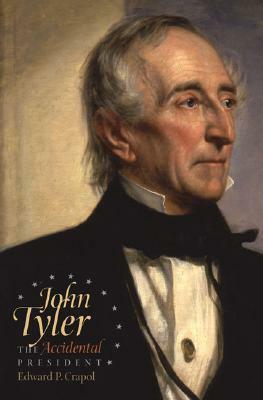 But while he consistently defends Tyler’s legacy, this biography is no blind apology for John Tyler. At numerous points in the book Crapol berates Tyler for his occasionally poor decisions, his pathological inability to recognize the horror of slavery, and for being the first and only “traitor president” of the United States (by supporting the South’s secession from the Union). Crapol’s biography is dense at times but is not quite long or expansive enough to be considered a true “full-scale” biography. Very little of Tyler’s personal life is discussed and Tyler’s interaction with his family and friends is rarely witnessed. While there seems to be a dearth of historical evidence relating to his private life, early in the book the author states that Tyler was much warmer and more affectionate than is often presumed. He seems to hint that a colorful portrait of Tyler will soon emerge…but it does not. More critically, this biography is thematic rather than chronological and often reads like a series of essays that wander into unnecessary tangents. The book also focuses on Tyler’s presidency at the apparent expense of his three decades of public service prior to becoming vice president. Equally puzzling to me was the author’s failure to focus more attention on Tyler’s decision to accept the vice presidential nomination from a political party with which he almost never agreed (the Whigs). That decision, of course, ultimately led to the destruction of his political future and, fairly or not, his legacy. To be clear, this book has its share of strong points – Crapol’s introduction provides an excellent roadmap for the book, his analysis is often insightful and he is willing to be provocative where the evidence (if not sentiment) is on his side. But I expect a broader perspective from a presidential biography and I found the book’s focus inconsistent and often awkward. Crapol’s biography has much merit as a supplemental work but cannot replace Chitwood’s as the definitive biography of John Tyler. What I know of him was read in JFK’s Profiles in Courage. 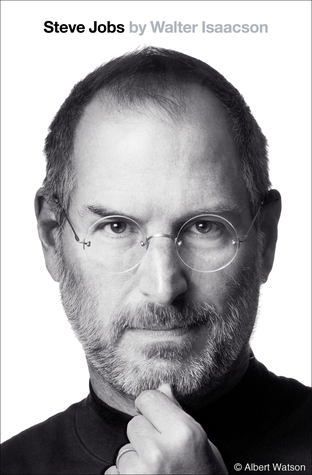 I have just finished this biography, and I agree with your review. The thematic approach leaves out too much, is awkward and sometimes almost confusing. There was very little about Tyler’s personal life, which would have been interesting. The author’s occasional ventures off topic (communist Cuba, Condoleeza Rice, Lyndon Johnson etc.) are unnecessary and distracting, I would not recommend this as a first book to read about John Tyler. This is the first bio I’m having a hard time getting through (I’m 2 chapters in). The lack of attempt at any narrative is tough, and it’s a bit too analytical for my taste. If I lose focus for a paragraph or two I already feel like I’ve missed some point being made. I also see the same point being made multiple times over and over again almost verbatim. I get that the author was trying to break some analytical ground here, but it just doesn’t flow as a biography. I may have to switch to May or Chitwood to get through Tyler. Like you I had been dismissing the American Presidents Series as too short, but Chitwood’s not available at my library and I’ve purchased 2 bios in a row with MVB and WHH. Does May’s bio hold up? In the absence of a captivating, colorful and comprehensive bio of Tyler, I found May’s biography better than acceptable (but still not ideal, primarily because it was too concise). If you’re looking for great literature concerning Tyler I think you’ll be disappointed, but the May bio is pretty good if you’re just trying to learn more about this unfortunate president.